You are currently browsing the tag archive for the ‘entertainment’ tag. Did you know that the Lost Soul Stroll has wandered into London, Ontario again? This is the 9th time that members of London’s sordid past have taken over the streets of Downtown London in October, but it is unlike any stroll that has come before. And even if you have already explored 2013’s stroll, you can still come wander London’s dark history again before the month is through. Tickets are available! Prepared to be scared, amused, and mischievously entertained on a brand new route through London’s seamy past. October 19 & 26 at 6:30 pm and 8:30 pm. For those of you whom have never been, what is the Lost Soul Stroll all about, you might wonder? Well, if you have ever questioned whether ‘The Forest City’ has seen its share of misery, this Stroll is for you. With theatrical flare, and a whole bunch of graphic costumes and makeup, the London Fringe presents eerie true tales from London, Ontario’s past. Characters, such as Ambrose Small (The Grand Theatre’s original owner, who disappeared just before selling it, never to be seen again, and is also said to still haunt the Grand to this day), various members of the infamous Black Donnellys (a backwoods family that was massacred in cold blood in 1880), passengers from the doomed Victoria (Canada’s worst marine disaster occurred on the banks of the Thames River in 1881 when the ‘Victoria’ capsized and 182 people died), and even the former sweetheart of the ghost that haunts Eldon House (Sarah Harris was the daughter of the original owner, and sweetheart of Wenman Wynniatt, who mysteriously drowned in the river in 1841 and is said to haunt Eldon House still). All of these characters and more have strolled along with daring participants in years past, but the Burymore Family has taken over the Stroll this year. There is murder, mystery, disaster, and more to be watched by this troupe of long-dead actors. Will there be hijinks? Undoubtedly. Sordid mayhem? Indubitably. Laughter? For sure. Should you get tickets to take in the 2013 version of the Lost Soul Stroll in London, Ontario? Friday the 13th: Can You Hear the Rumble? It’s Friday the 13th. Some feel it is an unlucky day and wish it to be gone as quickly as possible. I am sure that is in no small part to a few (thousand?) horror movies back in the day, with titles of the same name. You know; “Friday the 13th”, “Friday the 13th Part 2”, “Friday the 13th Part V111: Jason Takes Manhattan”, “Freddy vs Jason”, and “Jason’s Gonna Get Ya!” Hmm, maybe not that last one, but there were a lot of films in the series, and they all created fear in the hearts of young minds in the 80s and 90s. Skip forward to 2013 (oh! there’s a 13 in this year!) and Friday the 13th still holds fascination for many folks. You won’t find many movie stores left to rent a copy of any of those old horror films, but you can witness your own horror show a little closer than Crystal Lake. In fact, if you dare, you can jump in your car – or even better on the back of a motorcycle, and head East on Lake Erie about an hour. Once you get anywhere close, you’ll know where to go by the sounds of the motors rumbling around you. Still lost? You must not be from around these parts then, as anyone who has gone to this normally happy-go-lucky local beach town knows that Port Dover on Friday the 13th isn’t the place to go, unless you are looking to be surrounded by bikers. The tradition for motorcycle enthusiasts to converge on Port Dover on Friday the 13th started back in November, 1981. Chris Simons gathered up a group of 25 friends and they whooped it up at the Commercial Hotel (now Angelos of Dover) on the 13th. They had such a good time that they decided to go back the next Friday the 13th as well. Word of mouth being what it is, the story got out and more people joined in the hoopla every year. They come rain or shine, all year long. And every year has at least one Friday the 13th, so there is a guaranteed party to go to for bikers every year! The last one was back in July 2012, so its been awhile since the brake stands have taken over Port Dover streets. I’m sure that will get rectified today though! How many bikes do you see? Now you don’t necessarily have to have a motorcycle to take part in Port Dover’s Friday the 13th celebrations. Everyone is welcome! In fact, instead of fighting the insurgence of motorcycles every year, Port Dover decided to cash in on the fun. Where the early days of Friday the 13th bike gatherings were relatively small, over the years the events in Port Dover have gotten exponentially bigger. In fact, last year’s July gathering set an unofficial attendance record of 140,000 people. Sure there were lots of motorcycles, but the smiles were plastered on people’s faces no matter how they got there. This September should be no different. There will be motorcycles, food vendors, merchandise vendors, motorcycles, shuttles to get past police barricades to the main action, available camping, live music on the Budweiser Main Stage, and a few more motorcycles. People come from miles around to witness this unique phenomenon. In fact, there are those that come from across the globe to check out how this small town of only about 6,000 permanent residents handles the surge of motorcycles and people every Friday the 13th. It is quite the thing to behold. With Port Dover only 130 km away from London, Ontario, it is an easy trip to check out yourself. I must warn you though. For those thinking about going; Earplugs might be handy. Well then, that’s it. We’ve got a little better than two weeks left of official Summer, but as soon as Labour Day hit, Fall was in the air. The kids went back to school this week with coats or sweaters on. Spray pads, wading pools and city-run outdoor pools are all closed for the season. But the weather reports still have plenty of sunshine in them, with temperatures in the mid 20s this weekend. If you have a heater in your pool, or no pool at all, how are you going to cool down? Storybook Gardens saves the day! While the rides and concessions are closed weekdays, they are still open weekends until October 14th, 2013. The splash pad however remains open during the week and on weekends until further notice. Once you are done at the splash pad, why not wander through the Enchanted Forest, stop to pet the animals in Old McDonald’s Farm, stop for a minute or two in the Village and Backwoods, explore the Frog Pond, or find adventure at Pirate’s Island. You’ll find family fun in every corner of Storybook Gardens this weekend. Get to East Park while you can! This is the last weekend that East Park’s Wally World Water Park will be open for the season. They’ve got the 55′ Wally Tower with 5 amazing slides, Intencity Tower with two awesome flume water slides, plus a new splash pad for kids that opened this year. In addition to that, there is also Go-Karts, a Batting Cage, Driving Range, Minigolf, Intencity indoor play (rock walls, bumper cars, climbers and more), and even an 18-hole Golf Course. You’ll be in for plenty of fun for all ages, both indoors and out. And of course all of our area beaches are still open for business as well. While you might not find life guards monitoring the waters after Labour Day, the waters of Lake Erie and Lake Huron are still a welcome attraction for anyone willing to dip their toes into the Great Lakes. The good news is that after Labour Day paid parking is no longer being enforced at Port Stanley Beaches. For those wanting to head to Ipperwash Beach, there is bad news on the horizon though. Perhaps taking a nod from Port Stanley’s decision to charge for parking, West Ipperwash Beach Property owners are looking at adding parking fees to their beach. The fees will be used towards adding permanent washrooms, garbage cans, gates, better security, and providing employment opportunities for area band members. The plan has not been authorized as of yet, but the Kettle and Stony Point First Nations band and area homeowners are hopeful that a plan can be put in place by next Victoria Day. If you want to spend the day at the beach, I guess we have to pay to play, but this weekend you can enjoy all the area beaches for free! Say goodbye to summer. It is Labour Day this weekend – the last official weekend of summer. Sure, we might still might have nice weather for the next little while, but after Labour Day, typically anything is possible; rain, sun, wind, even snow! Ok, statistics are a little shaky on snow in September, but we typically get the most average rainfall in a month in September and they are calling for a near normal Fall. All I am suggesting is that an umbrella in the future might be handy. So my suggestion would be to get out and enjoy the warm temperatures that we are expected to receive this weekend! School and a return to routines might be on the horizon, but this weekend should still be all about fun in the sun. And there is still plenty to do in London, Ontario, so get out and enjoy our last long weekend of summer. 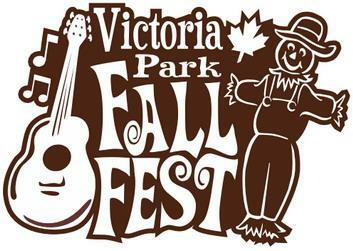 It only started a few years ago, but London’s Victoria Park Fall Fest is getting bigger and better every year. The festival mecca for so many of London’s summer festivals, Victoria Park will again be hosting this last hurrah to summer. And it’s not a festival without food, games, live music, a beer garden, and rides! Tipping their hat to our area rural roots, Victoria Park Fall Fest also features pumpkin carving, scarecrow making, a giant corn maze, and so much more. Try your hand at lassoing a steer. Jump into the air village, where blow up bouncy castles reign. Grab an all-day ride bracelet for $15 and ride all the rides again, and again, and again! Fall Fest runs from August 30th to September 2nd, 2013, from 11am – 11pm. With 15 bands set to play, the saloon set up and ready to serve you up a cold draught beer or wine, and vendors ready to hawk their wares, where else would you rather be, than this Free festival this weekend? School might not have started yet, but area post-secondary students are already back in town. You will be sure to see a few of them at the Western Mustangs home opener on September 2nd at 7pm versus the Carleton Ravens. University football is back in town! This year marks the 100th Anniversary of Western athletics, so if you’ve never been out to a game before, this year is the time to support London. The game will be at the TD Waterhouse Stadium on the Western University campus. Follow the fans screams to the corner of Western and Sarnia Roads, and you’ll be sure to find them. Don’t forget to wear purple in support of our home team! As it is the last weekend before you get back to the regular rat race, you might want to take it easy at home too. You could pack the kids backpacks, make a tonne of snacks to freeze for lunches, and organize your home to get ready for jumping back into the swing of things. Or you could take a drive to St Thomas to take part in the St Thomas Fire Muster Days. The 31st Annual St Thomas Fire Muster Days will be held in Pinafore Park from August 30th – September 1st, 2013. Events kick off Friday at 5pm with a barbeque in the park, followed by a movie at 8:15pm. All weekend you can check out antique fire trucks, visit the beer garden, enjoy the children’s area, take in live entertainment, and of course tempt your taste buds with food. St Thomas’ finest will be taking part in Fire Muster Competitions, such as “midnight alarm”, “rescue run” and “burning schoolhouse”. There will even be a parade Saturday at 10:30am. The summer is winding down, but there are still plenty of festivals around the Forest City. London, Ontario should almost think of changing its name to the “Festival” City come summertime, as there are no less than three more festivals going on this weekend. The weather is shaping up to be warm, sunny and without a drop of rain. Perfect for checking out one of these great Free outdoor festivals this weekend. Buon giorno London! Welcome back the Festa Italiana for its 13th annual festival of all things Italian. There will be food, music, fun, and dancing under the stars. If you like opera, they’ve got it, compliments of Maestro Sabatino Vacca. Care for an aria or two? Why not stick around to hear Victoria Gydov or Laura Palumbo. Perhaps you would like to dance the night away in the piazza with Orchestra Italiana London? There is also plenty of daytime activities too, like face painting, folk dancing, grape stomping, Venetian mask making, cake eating contests, fashion shows, and so much more. If you can feel your Italian blood heating up at the thought of all the fun, you have all weekend to enjoy it. Just head downtown! Not all of London’s festivals happen downtown. The folks in Ward 14 have been whooping it up in Southeast London for a few years now, and the entertainment just keeps on getting bigger and better. The original plan behind this gathering was to engage the immediate neighbourhood and provide information about services, community involvement, as well as encourage physical activity, have a little food, drink in fun. As news of the event got out, more community groups have gotten involved, so now info booths regarding non-profit organizations, welcome committees, social services, and more have become involved. You’ll see the London Fire Department and London Police Services. And if that doesn’t interest you, perhaps a midway, buskers, games or the stage with live entertainment will. This festival might be in Southeast London, but it is open to all, so head on down for Summer Fest this weekend. The Wortley Village Jazz & Blues Festival has been on hiatus the last two years, but is back in 2013 and bound to rock Wortley Village again. With 10 bands set to play on 8 stages, there will be sure to be something for everyone that attends this hotly anticipated outdoor festival. Wortley Rd will be closed to traffic between 2 – 9pm, so that festival goers can wander from stage to stage, taking in the sights and sounds of the afternoon. Be sure to bring a lawn chair, as local London musicians will set the stage for you to stay a while. All the restaurants in the Village will be open, as well as some of the local stores, plus even some tables set up by local vendors who want to get in on the fun. It is sure to be another great community event that you won’t want to miss if you are anywhere near Old South.